A horse's recent form can be further evaluated by checking its strength in the betting market. Some punters use market moves as one of the main ways to finalise their bets. The idea is that the collective opinion of all these thousands of punters will provide a more accurate idea of the winner of a race. A horse that has been backed down in price from its morning odds quite heavily is called a steamer. Market moves for unraced horses with no exposed form in maiden races are also worth checking. One idea for using market moves is to back the horse that you think will win from your usual form study. If it is favourite just before they go off double your stake. If it has drifted in odds then bet on the horse that been backed into favourite as a saver so you have two horses running for you. · The state of the horse in the parade ring before that race. · Recent form of a horse. · A change of jockey from a moderate one to a top class jockey. · Connections in the know. · Sudden change in the ground conditions. 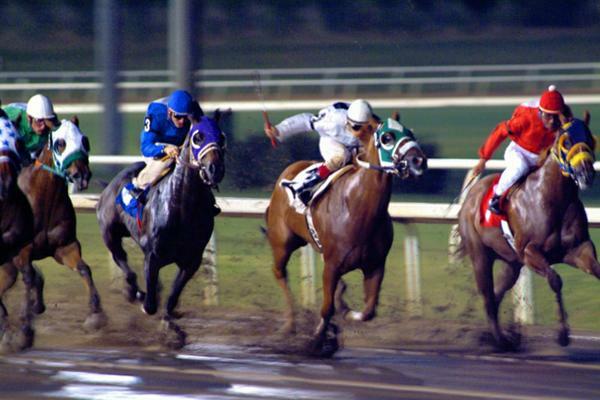 · Horse racing tipping phone lines have a big effect on morning price changes. A lot of the big bet punters all wanting to back the same horse will shorten the odds. With so many professional form students now in the game as soon as a horse's morning price comes out they will know at an instant that the horse is very well handicapped. If the horse has opened at a big price of say 15/1 and they know a more realistic price would be 5/1 the word will get out and the price will soon shorten. So if you want to benefit from all the hard work by the professional just follow the money. If you only bet when you are fully satisfied that everything is in your favour you will benefit in the long run. Good recent form with the ground, course and draw all in your favour. Plus good trainer and jockey form taken into account combined with the horses price remaining strong in the betting market will give you your best chance of coming out ahead of the game. Is the weight of a horse really an important factor when selecting your bets? Does a few pounds really affect the performance of a horse that weighs anything from 700lbs to 1000lbs plus? The official handicapper has been using weight to level the playing field for years. If weight was meaningless then they wouldn't do it! There are however a few ways we can use the weight to help find a winning horse, although no system is totally foolproof. When examining the form of a race, here is a quick method for using weight as a selection method.. In handicap races only, select the horse that is giving the biggest weight concession of the day (the largest weight difference between a top and a second-top weight). Should there be joint qualifiers have a wager on each horse. The horse at the top of the handicap is officially rated as being the best horse in the race. Therefore, the horse giving the biggest weight concession is also the horse with the biggest class advantage. The effect of weight is often overstated, so the class advantage can often prove more effective than the penalty. 2. The unique thing about horse racing tracks in Britain is that every course is different from each other. Some have steep uphill finishes such as Cheltenham or Towcester. Some are very tight tracks such as Chester. Some of the National Hunt tracks have stiff fences or undulating tracks. Here is a list of tracks where a previous course win would be a big advantage in the UK because of the unique characteristics of the course. Ascot, Carlisle, Chester Epsom, Newcastle, Beverly Catterick, Goodwood, Newmarket, Brighton, Pontefract and Lingfield for flat racing. Ascot, Fakenham, Kelso, Newcastle, Carlisle, Fontwell. Leicester, Plumpton, Catterick, Haydock, Lingfield, Sandown, Cheltenham, Aintree, Towcester for National Hunt racing. 3. Most trainers will run their horses within a certain class according to the horse's ability. If a horse shows very good form the trainer may up it in class to a better grade of venue. Most of the top grade racing with the biggest prize money is run at eight courses. These are Ascot, Epsom, York, Newmarket, Goodwood, Doncaster, Sandown, and Newbury. Obviously a horse moving up from a low-grade track to one of these top venues would have to be out of the ordinary to win a race there. 4. There are five classics races run in the UK over the flat season they are the 1000 Guineas, 2000 Guineas, Derby, Oaks and St Leger. Over the national hunt season there is usually a high prize money race run at the weekend with the Cheltenham festival and Grand National being the highlight of the season. Cheltenham racecourse is a must visit course if you are a serious national hunt fan. If you are looking for experiencing the national passion for steeple chase racing then a trip to this track is called for. If you are a flat racing fan then go to Newmarket the home of UK racing. The course has been around since the 1600's and is where the 1000 guineas and 2000 guineas races are run. 5. Ascot is regarded as the standout flat racing track in Britain with around nine group 1 races run each year. It is also host to a number of top grade national hunt races.. It is the royal family's favourite racecourse and the queen attends the Royal Ascot Festival every year without fail. Aintree racecourse hosts probably the world most well-known race The Grand National. The race is run over 4 miles featuring around 30 fences. It is considered the ultimate test for a steeplechasing horse. The Aintree Grand National is watched by a worldwide audience of 600 million.